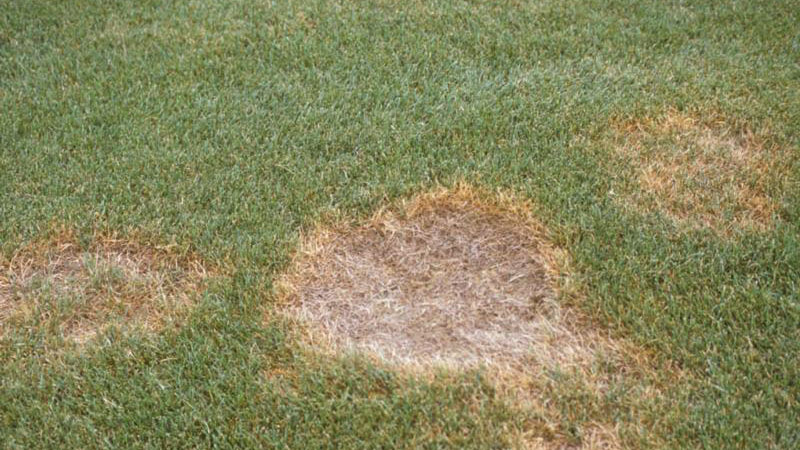 The symptoms of summer patch appear in circular patches or rings, ranging from 6 inches to 3 feet in diameter. Turf within these patches is initially off-colored, prone to wilt, growing poorly, or sunken in the turf stand. 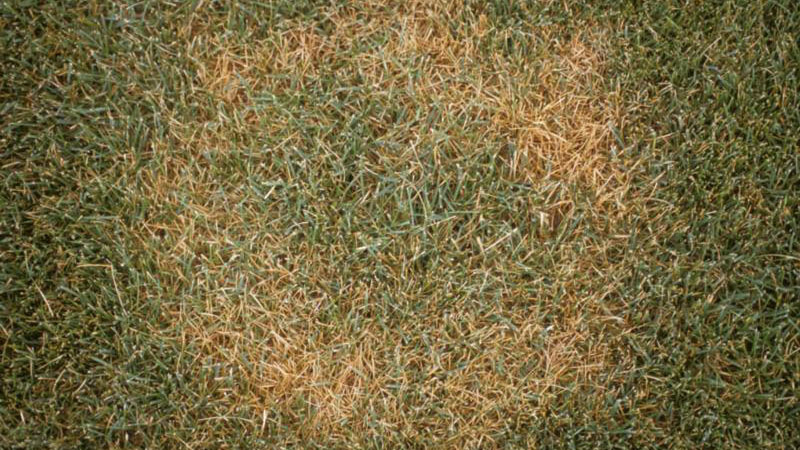 Over a period of one to two weeks, the turf continues to decline, turning yellow or straw brown and eventually collapsing to the soil surface. 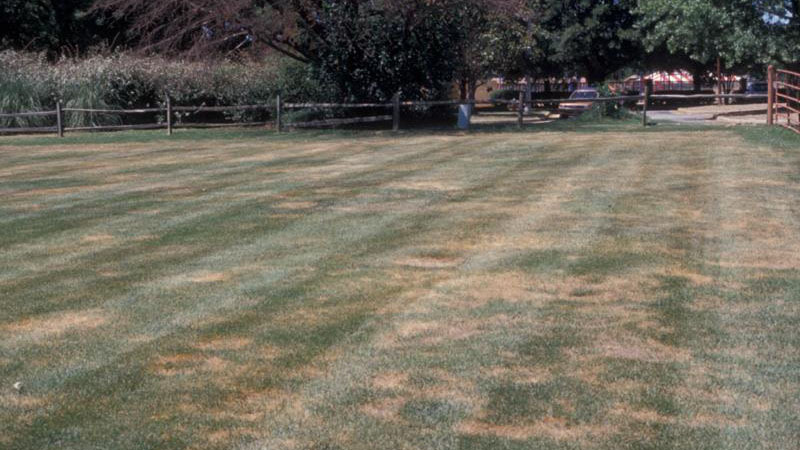 The outer edges of the patch are usually orange or bronze when the disease is actively developing. 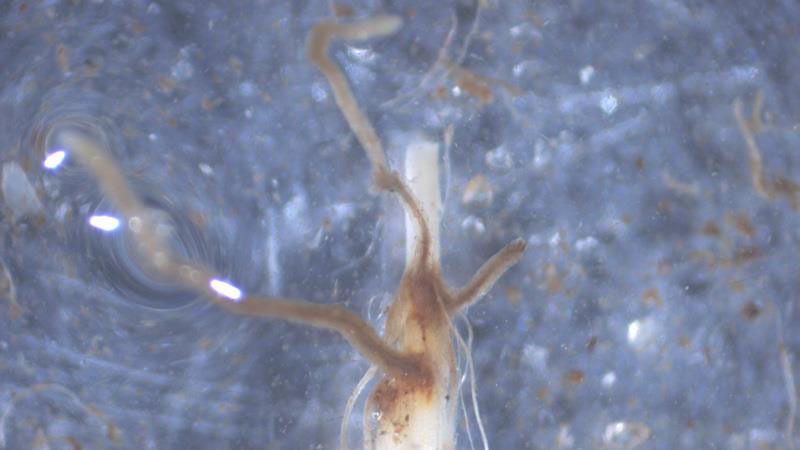 Affected plants are easily pulled up from the turf, and visual examination reveals that the roots, crowns, and rhizomes are black and rotten. The patches recur in the same spot annually, and expand at a rate of 2 to 4 inches per year. Resistant grasses, such as fescues or weedy species, are often present in areas damaged by summer patch. 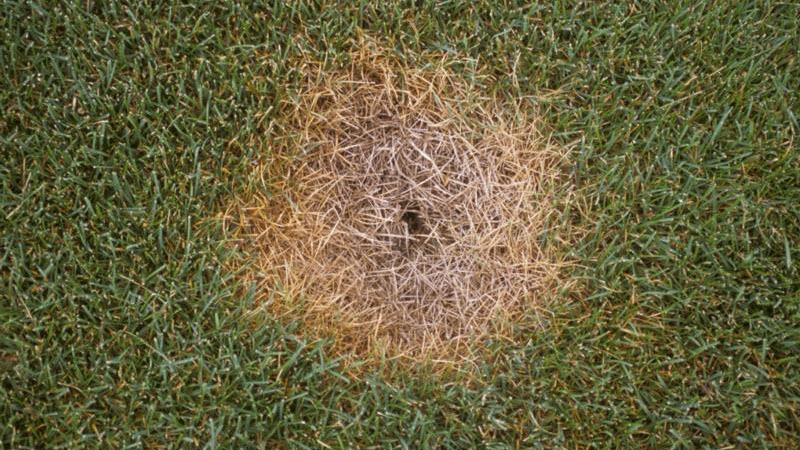 In temperate climates, creeping bentgrass is resistant to summer patch and often remains completely healthy while surrounding annual bluegrass is attacked. Creeping bentgrass can become prone to the disease when grown in high-pH soils (> 7.0) and subjected to persistent heat stress. Several cases of summer patch have been documented on creeping bentgrass putting greens in the transition zone of the United States. The summer patch fungus begins to attack the roots, stolons, and rhizomes in the spring when soil temperatures reach 65°F. 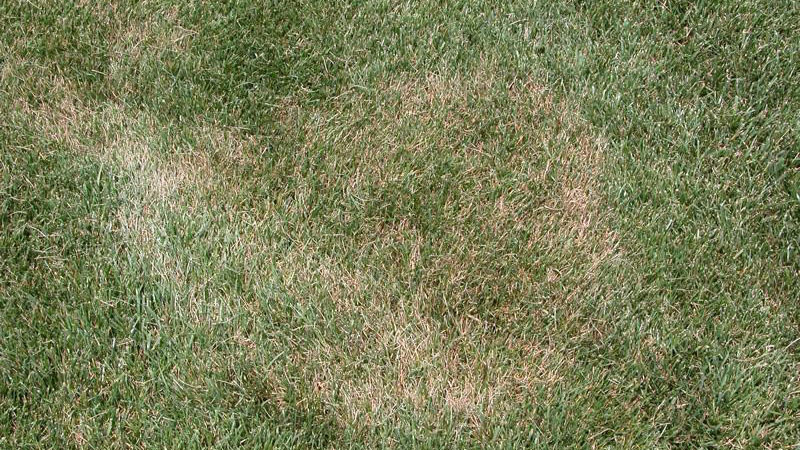 Summer patch symptoms are rarely seen during the early stages of disease development, instead, the symptoms appear in mid-summer after considerable damage has been done to the root system. 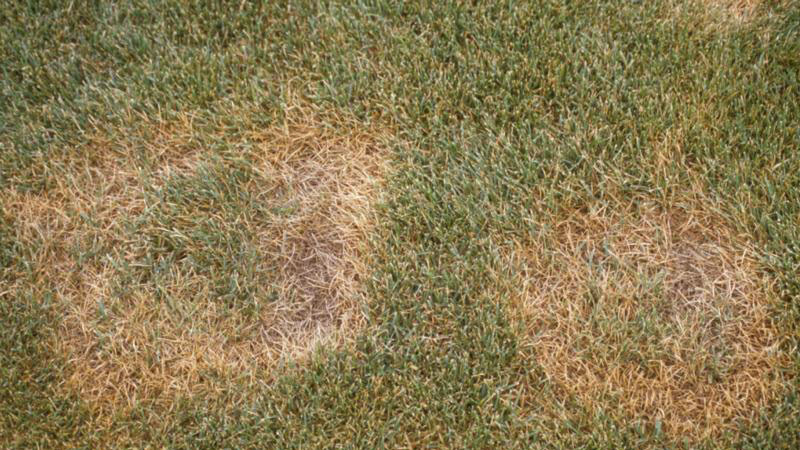 Heat, drought stress, and nutrient deficiencies are the main factors that encourage the expression of summer patch symptoms. In North Carolina, the symptoms typically appear in early to mid-July. Summer patch is most severe when soil pH is 6.5 or greater. In addition, any factor that restricts root growth will also enhance the disease. 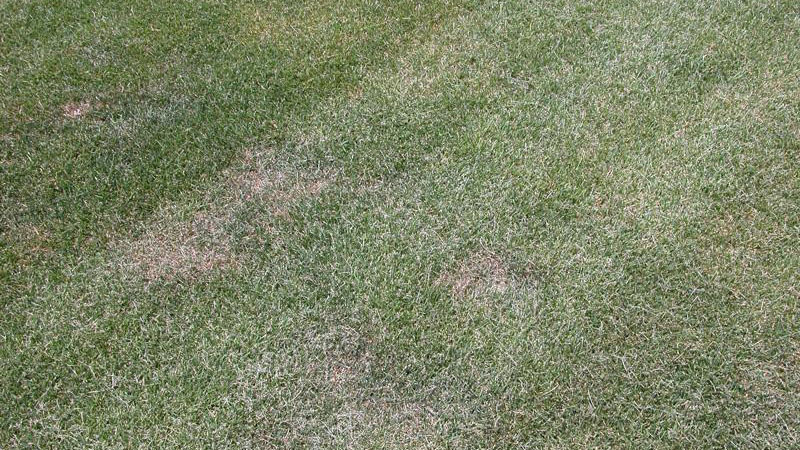 Excessive nitrogen in the spring, potassium deficiencies, poor soil drainage, over-irrigation, excessive thatch accumulation, and soil compaction have been shown to encourage summer patch development. 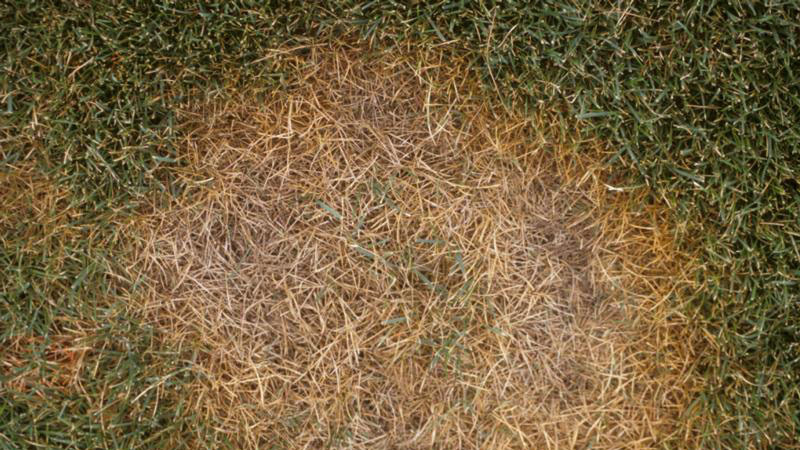 Most of these factors reduce the growth and/or survival of turfgrass roots, thus causing the turf to be more susceptible to the disease. Maintain soil pH between 6.0 and 6.5 to minimize summer patch development. Bluegrasses are less tolerant of low soil pH than other turfgrasses, so use caution when adjusting pH. Soil pH is best reduced slowly over time through use of an acidifying nitrogen source, such as ammonium sulfate or sulfur-coated urea. Avoid excessive nitrogen in the spring and fall, and mow at recommended heights to maximize root growth. Frequent irrigation in the fall and spring will inhibit root development and increase the severity of summer patch. Use the Turf Irrigation Management System available on TurfFiles to schedule irrigation based on weather conditions and turf needs. Deep and infrequent watering will encourage the development of a deep, dense root system that is able to better withstand fungal attack. Reduce thatch buildup and relieve soil compaction through aggressive aerification, vertical mowing, and topdressing. Frequent aerification is especially important in high traffic areas where the disease is most severe. 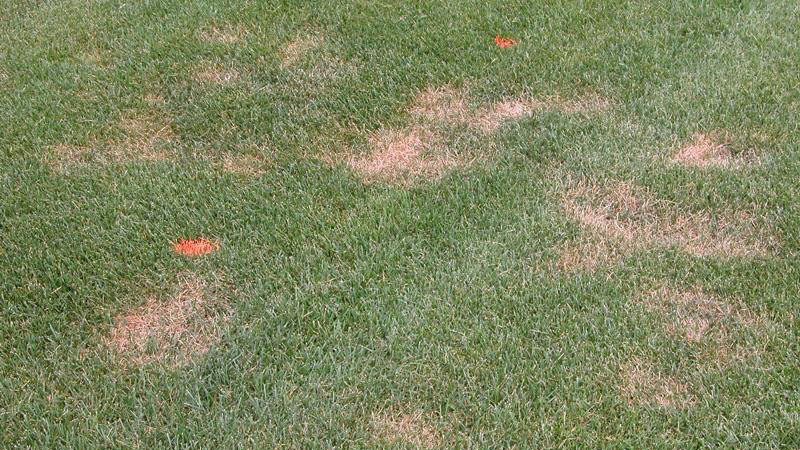 When summer patch symptoms appear, increase mowing heights and the frequency of irrigation and fertilizer applications to minimize stress and compensate for damage to the root system. 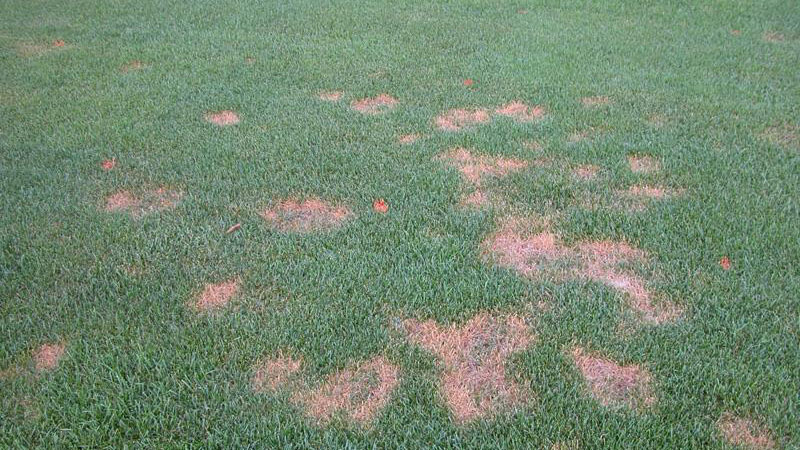 Fungicides are available for summer patch control, but they are most effective when applied on a preventative basis. For best results, fungicide applications should begin in spring when soil temperatures reach 65°F. Two to three applications on 28-day intervals provide excellent summer patch control in most situations. Fungicide applications should be made in a high volume of water (5 gallons per 1,000 square feet) or watered in with 1/8” to 1/4" inch of irrigation immediately after application. Figure 2. Summer patch stand symptoms. Figure 3. Summer patch stand symptoms. Figure 4. Summer patch stand symptoms. Figure 5. Summer patch stand symptoms. Figure 6. Summer patch stand symptoms. Figure 7. Summer patch stand symptoms. Figure 8. Summer patch stand symptoms. Figure 9. Summer patch stand symptoms. Figure 10. Summer patch stand symptoms. Figure 11. Summer patch stand symptoms.